Video is not available for me, sadly. That is odd, facebook thinks the post is public. Maybe this direct link will work? 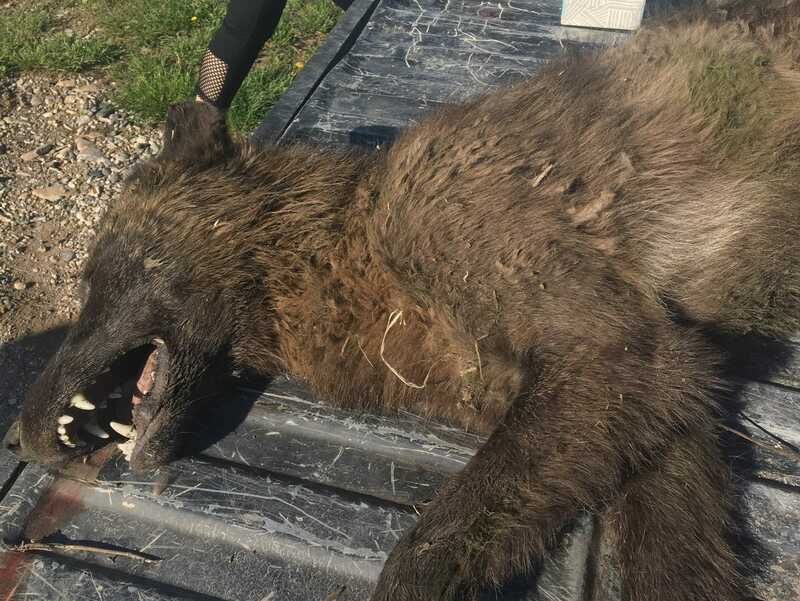 Bizarre canid shot in Montana. Sadly, or happily, it turned out to be just a grey wolf. Here we show that the sudden and massive input of water in regions that have remained hyperarid for millions of years is harmful for most of the surface soil microbial species, which are exquisitely adapted to survive with meager amounts of liquid water, and quickly perish from osmotic shock when water becomes suddenly abundant. We found that only a handful of bacteria, remarkably a newly identified species of Halomonas, remain metabolically active and are still able to reproduce in the lagoons, while no archaea or eukaryotes were identified. Our results show that the already low microbial biodiversity of extreme arid regions greatly diminishes when water is supplied quickly and in great volumes. We conclude placing our findings in the context of the astrobiological exploration of Mars, a hyperarid planet that experienced catastrophic floodings in ancient times. It seems plausible. The idea that failing to eliminate mtDNA might be a genetic disease of some sort makes sense given how rare and concentrated the phenomenon seems to be. We'll have to see if this ends up being an interesting curiosity or the start of something bigger.